The baby blackbirds are still hopping around the garden. At last they are becoming less reliant on mum, but do not always seem to get the feeding bit right. This one seemed to have just been pecking at mud this morning. I kept waiting for mum blackbird to come around, lick a tissue, and wipe the mud off its beak! The pond is bursting into life quite quickly now. As the water has warmed up, the lilly has started to grow lots of leaves. This is one of the first to unfurl, ready to tempt frogs to sit on it (well, for the fish to hide underneath anyway). I am sure it will not be long before the flower buds break the water and start to swell. The weather was ok first thing this morning for the traditional Easter egg hunt in the garden. I went out and hid a whole stack of little eggs, and a few big ones. Katie and Alex had good fun hunting them out (Liz declined this year). Luckily they did well as I could not remember where I hid them all! No it is not a hideous deterioration in the weather; I finally had enough of the lid of the freezer not quite closing properly. The food is in the garage all wrapped up and the ice is thawing out slowly. Very much a case of 'are you feeling lucky Punk?' with a random unlabelled choice for tea tonight! The purple Magnolia in the garden has just started to bloom. It looks like there a stacks of buds this year so we should get a good crop of big purple blooms. The tree overhangs the pond, so I may have to spend some time fishing the petals out of the water in a few weeks too. When washing whites that are a bit smeggy and washing powder is just not up to the job, there are additives that are meant to make your 'whites whiter than white'. Today was sunny and the 'Bluebird' Azalea is in full bloom. A nice juicy-looking green fly was resting on it; well the chickens thought it looked juicy, not me! The tide was out and St Catherine's Island was open for visitors. It has been shut for very many years, but restoration of the fort on the top of the island has now started and the steps and way up has been made safe. The view from the top is a different way to see Tenby; for once you can see the houses and hotels with all their funky colours from a similar height, rather than looking up at an oblique angle from the beach. The boats in the harbour are thinning out as the years progress and the fish stocks dwindle further, but there are still some interesting working boats to capture pictures of still. 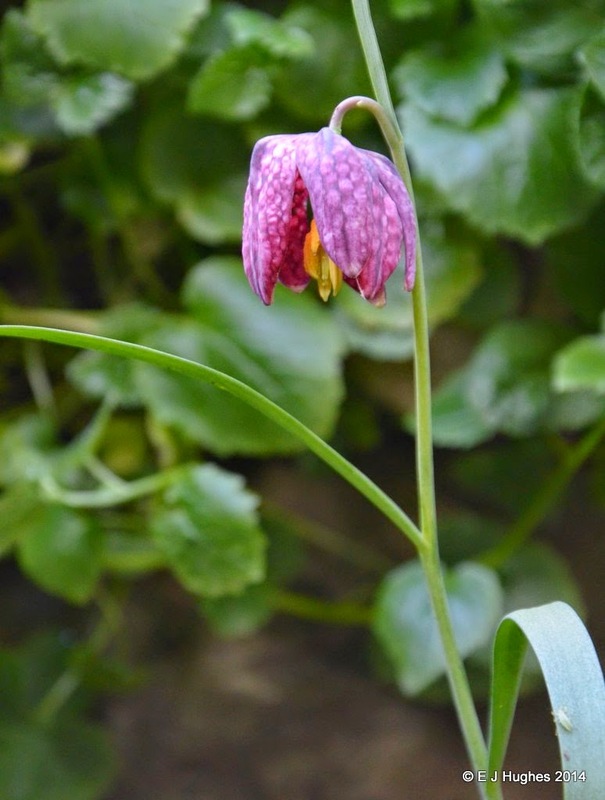 Dad has managed to grow a Fritillary in his garden this year; they bring rather a nice splash of colour to any garden corner. 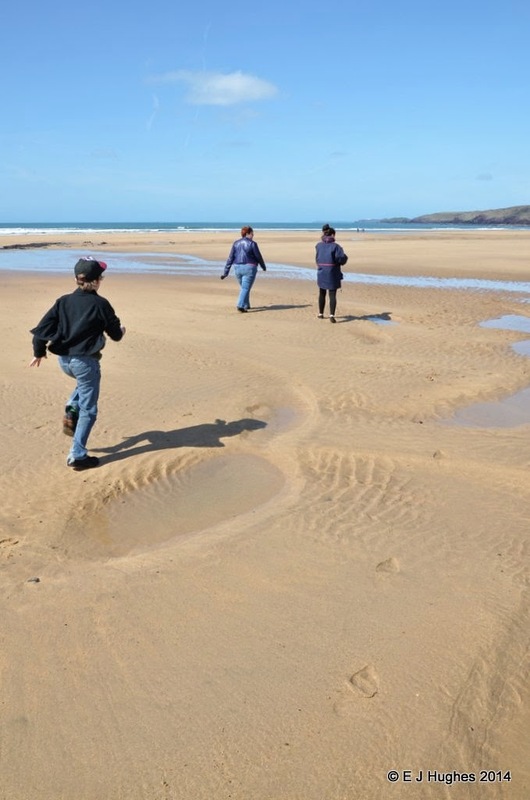 We had a good morning out on the beach too; the kids like the space at Fresh-Water West and also cannot resist having yet another quick look for Shell Cottage and Dobby's grave. 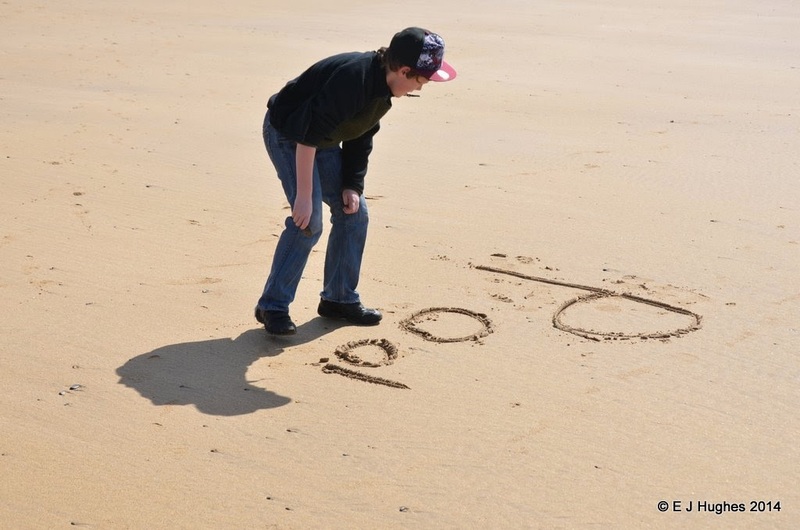 Alex did what most young boys seem to enjoy and spent time writing in the sand. It was Liz however that drew the traditional pictures of meat and two veg. 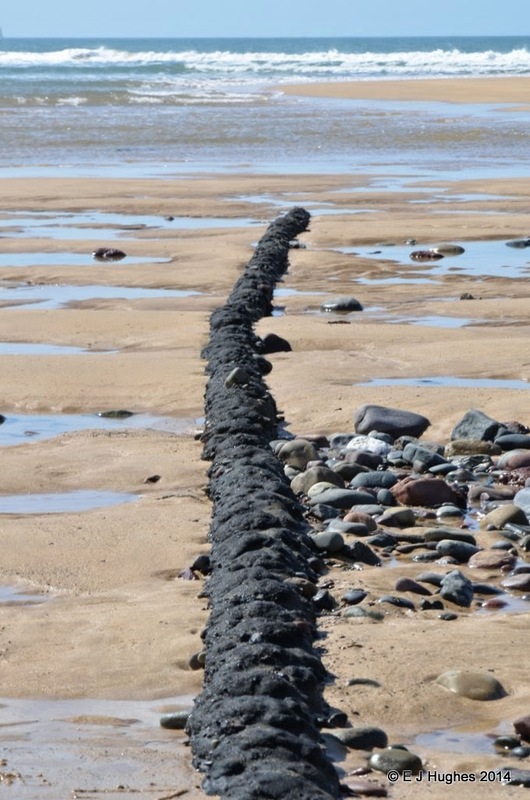 The Winter storms have stripped back the sand by many feet in depth, revealing both patches of the sunken forest, and also the remains of a trans-Atlantic cable! The weeds in the grass are starting to grow quite profusely now. 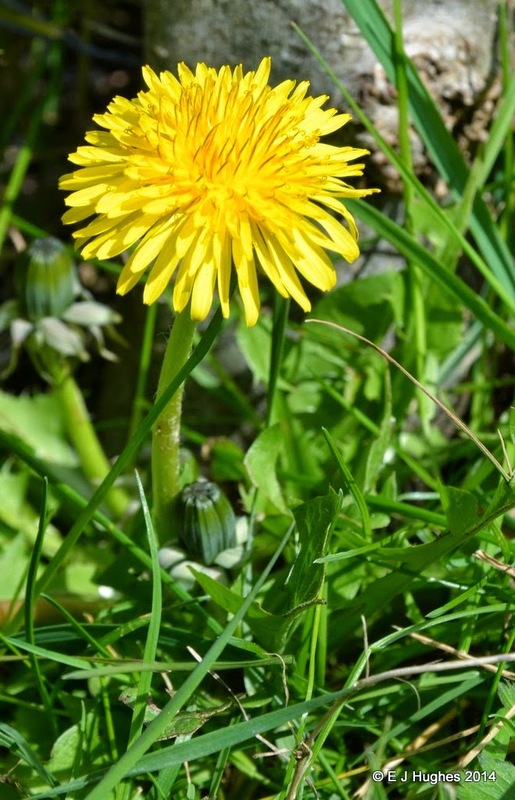 There is a good crop of Dandelions forming again this year. As yellow is my favourite colour, it seems a shame to pick the heads off. I may leave one or two to form seed heads, and then photograph them before picking the heads to stop them spreading any further. 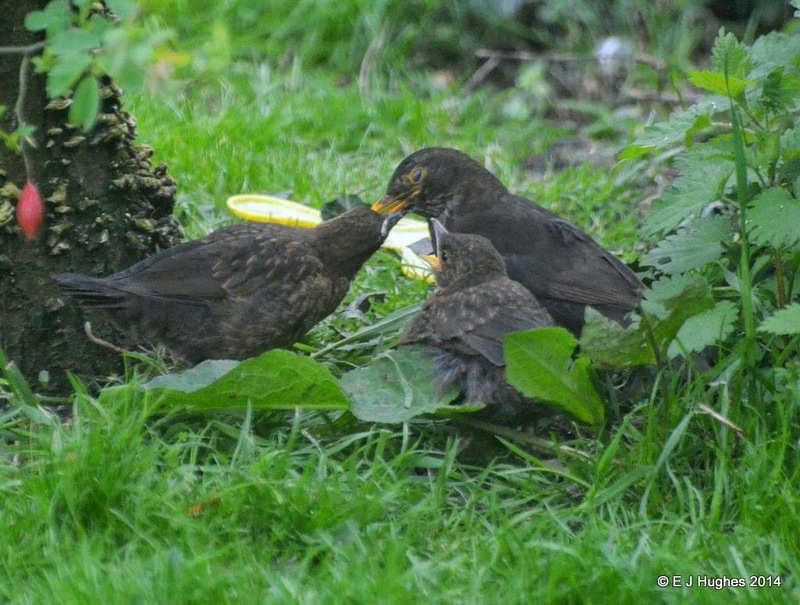 There are two baby blackbirds from the 'Patio' family bouncing around in the garden now. They tend to hide under bushes and then dash out when they see mum coming with some more food. Xena has been coping very well considering that often the chicks will be sat on the floor just looking up at her! There must be a great temptation to chomp on them, but she has left them alone. Hopefully the local cats will do the same, but given their recent performance with daddy blackbird, I am not so sure. 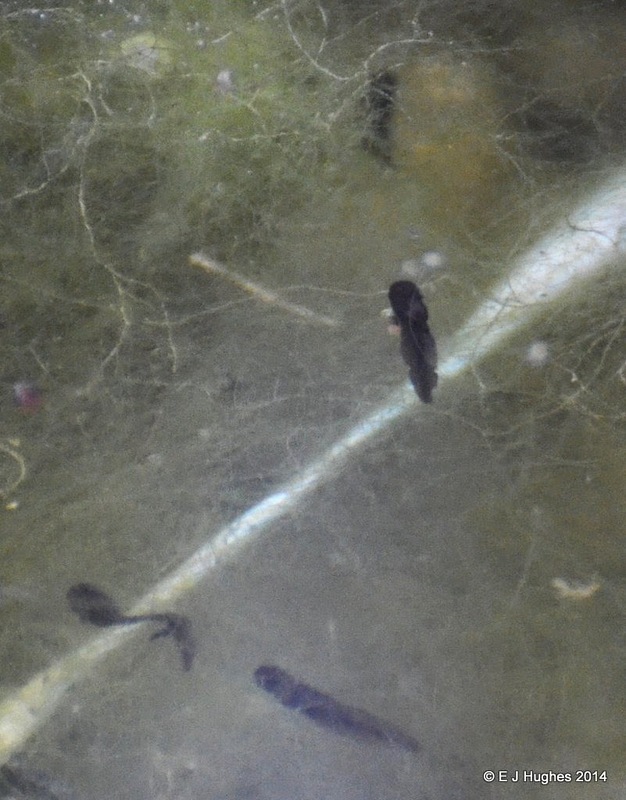 There is a distinct wriggling happening in the pond at the moment; the frog spawn has hatched a few days ago and the tadpoles are swimming freely. There are not a huge quantity, but hopefully a few will mature enough to visit again in future years. The pond is a bit full of gunge and stuff at the moment, so they have plenty of places to hide. The acting and technical side of any show is thirsty work. I managed to get in early on the tea-run this evening. 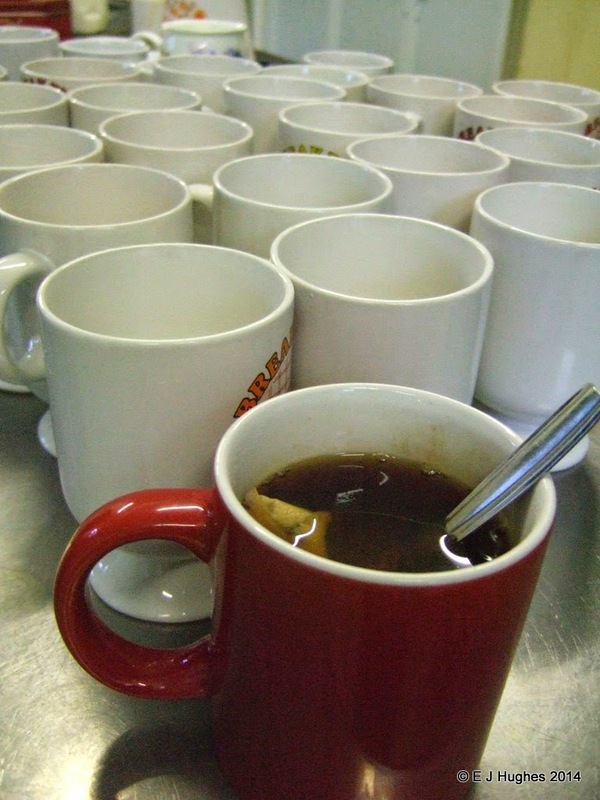 I could not resist the 'crowd' of mugs ready and waiting for their fill of tea and thirst quenching duty. 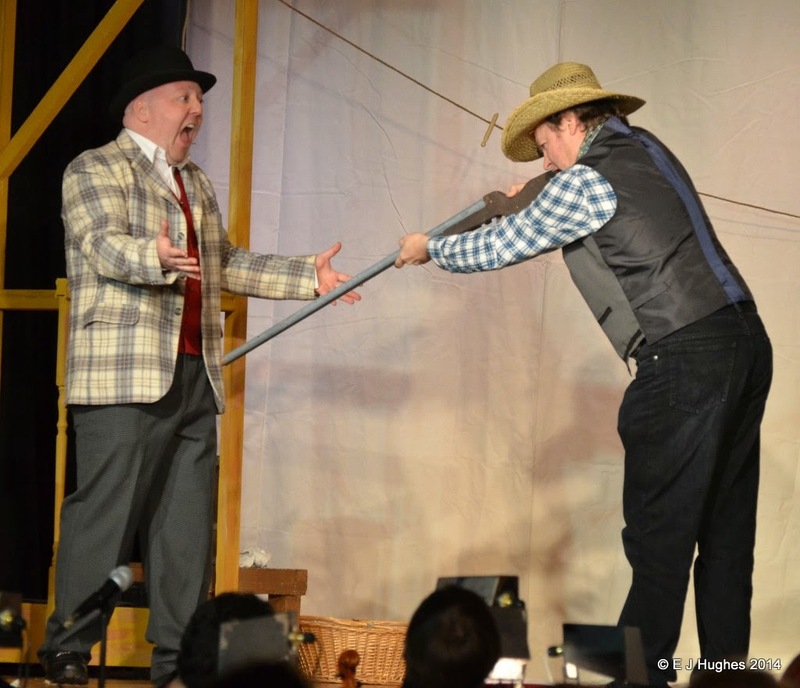 The run of Oaklahoma! went really well tonight. It is always nice to see the first real true run through of a show with all the costumes on and props in place; some of the dialogue and jokes do not make any sense otherwise! 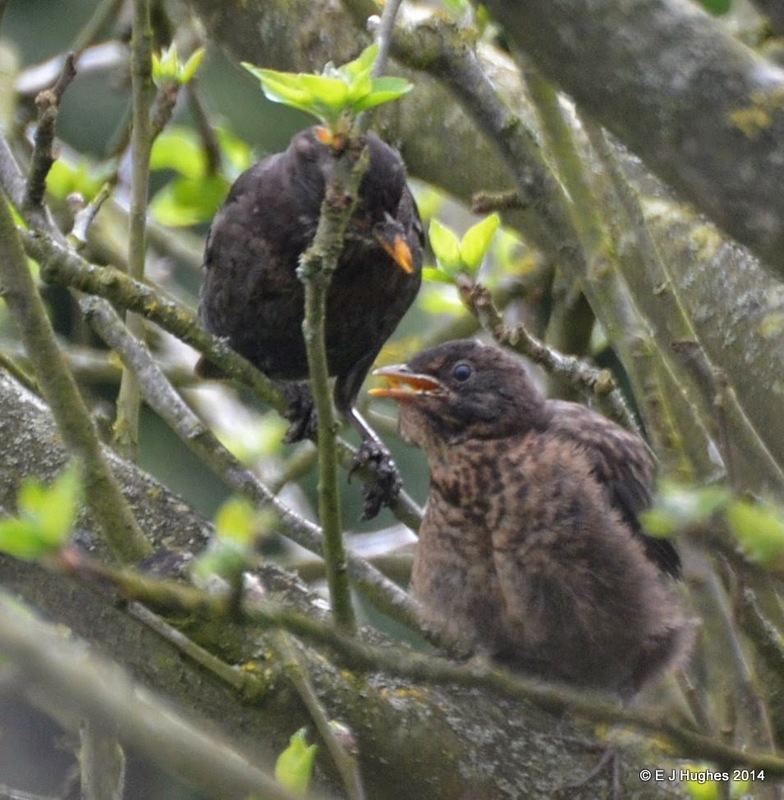 There has been excitement today as the first of the baby Blackbirds 'flew' from the nest on the patio across to the apple tree. In a similar manner to Buzz Lightyear, it appeared to be more controlled falling than flying! 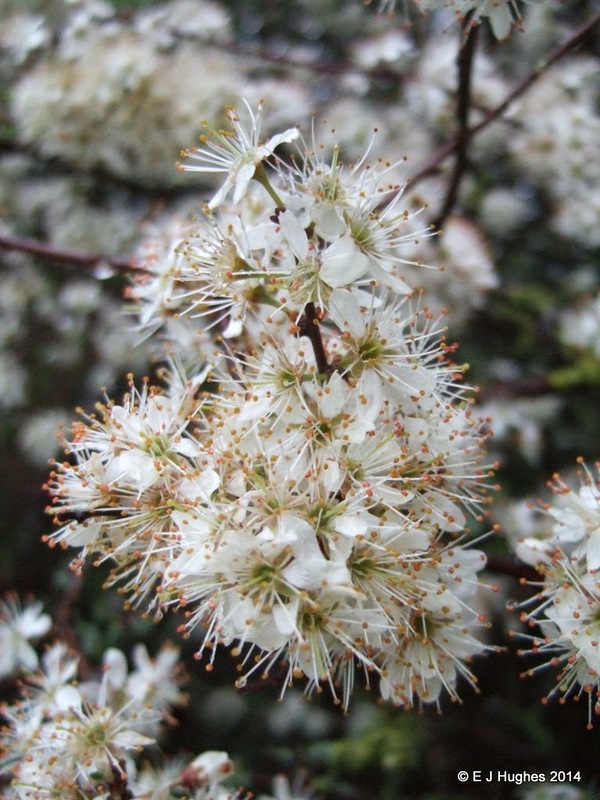 The Blackthorn is flowering well; enticing the few bees that are flying to gather some nectar and make some Slows. Jo will be happy if it is a good Slow year as when soaked in Gin, they take on a special life. It is time for the Spring production at the local theatre; it is Oklahoma! this year. 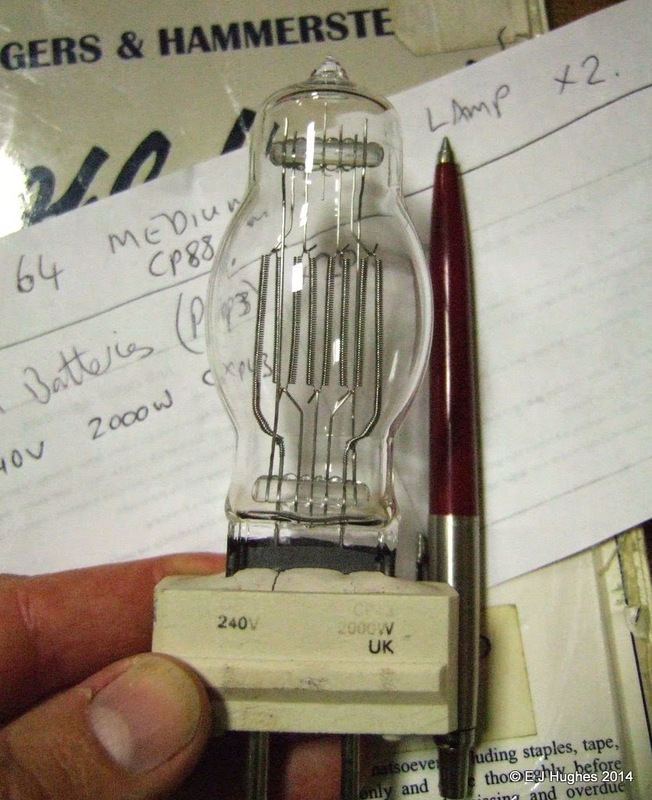 I like to make sure I am well prepared, so a list is forming of spare lamps and extra batteries; fingers crossed they will not be needed! It is surprising what you find sometimes in sleepy North Wiltshire; I had not been expecting the ultimate in exercise bikes. 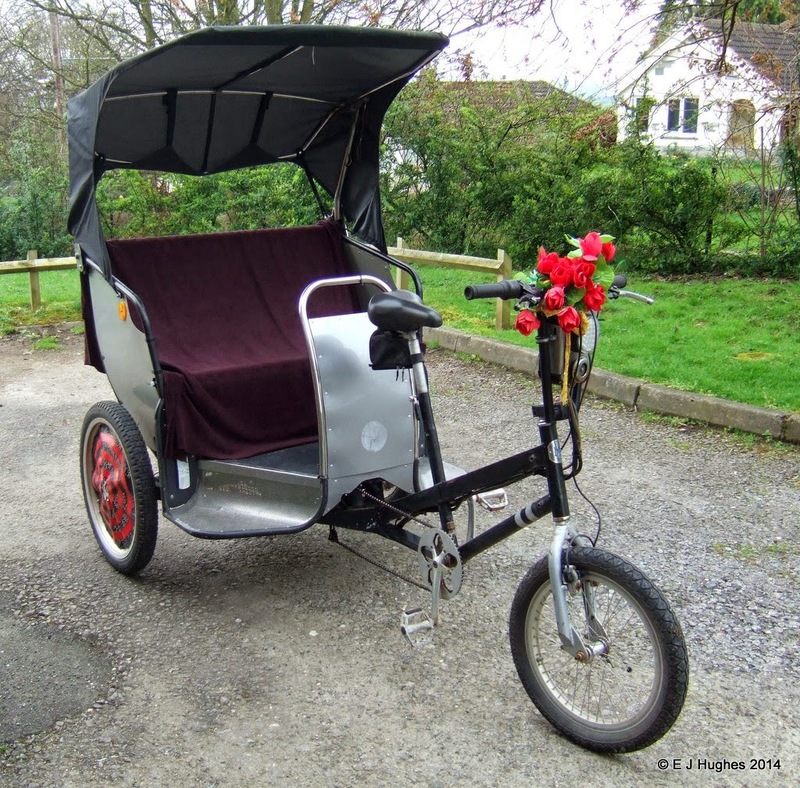 It is a bit hilly around here and peddling this device even when its is empty would be a challenge, let alone if you had passengers. 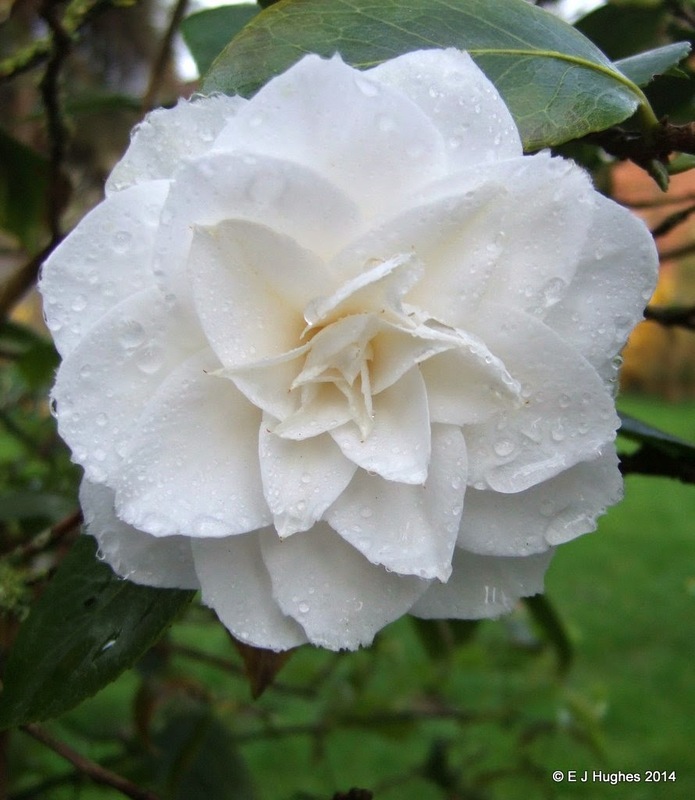 The rain and warm weather has meant the Camellia has not only flowered on our Wedding Anniversary, it has flowered in abundance. The added rain drops are very welcome for once. The Tulips in the garden have sent up good strong looking spikes which are just starting to turn from green and bursting into glorious red. Spring has been warm so far this year; if the trend continues then we can hope for some good rich colour in the petals. Spring is arriving fast and the Cherry tree is bursting with tight groups of buds. 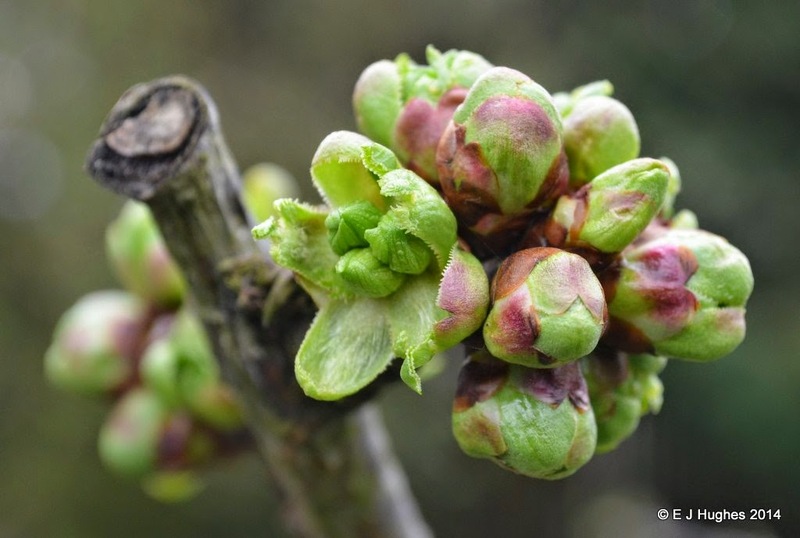 We have high hopes for a good show of blossom this year. We had one cherry ripen last year; the birds stripped the rest. I may net a small selection of them come the summer. Casting Shadows. 5x7 mdf camera. 210mm G-Clarion, f/9 1 second. 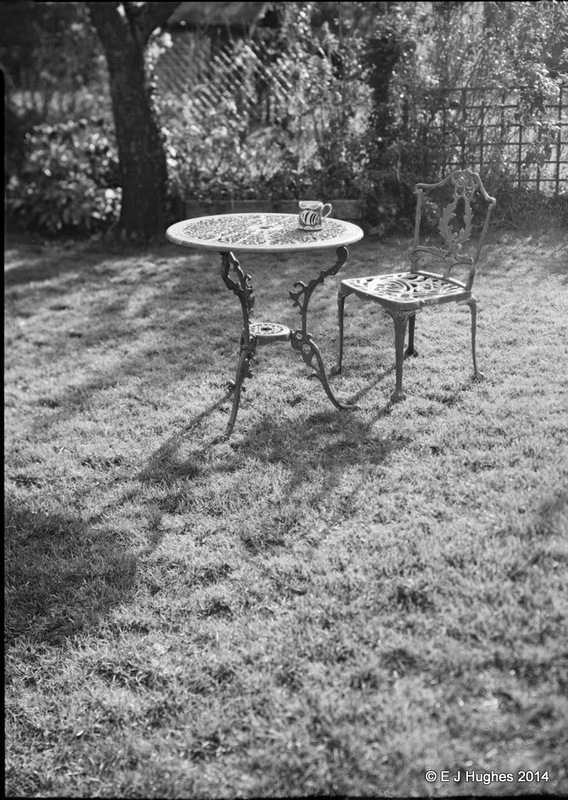 Two years ago, I captured the shadows cast in the garden and immortalised them in silver with a paper negative. 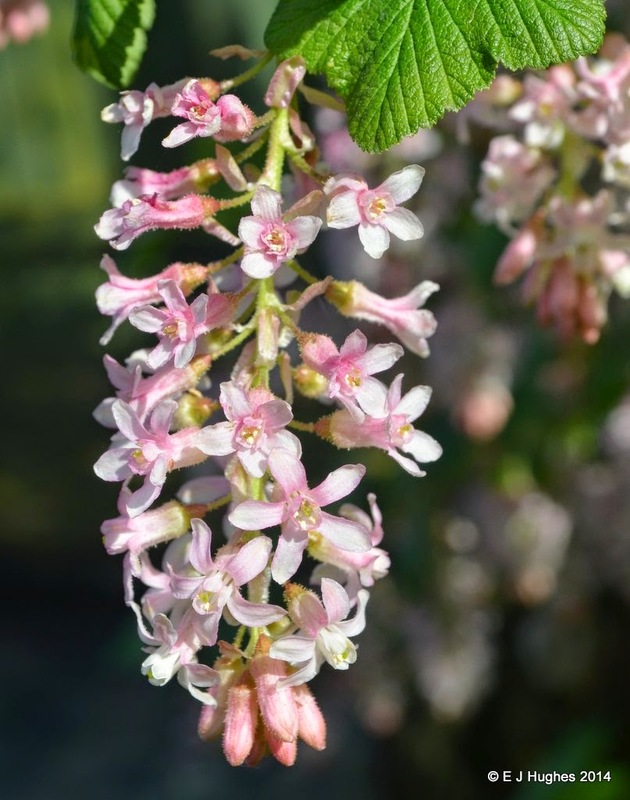 The flowering currant is out again too and as always, provides a great subject to study.